Subject(s): Presbyterian Church, Presbyterian Church - Doctrines, Presbyterianism, Religion, and Theology. 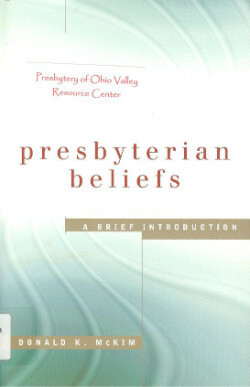 This book introduces the major beliefs of Presbyterians. It is written nontechnically to provide readers with a clear discussion of what Presbyterians believe about key theological topics. It is arranged according to three broad headings: the God Who Reveals, Creates, and Guides; the Christ Who Saves People like Us; and the Church, Where Faith Begins, Is Nourished, and Grows — all to the glory of God! This book is ideal for personal and group study in churches.